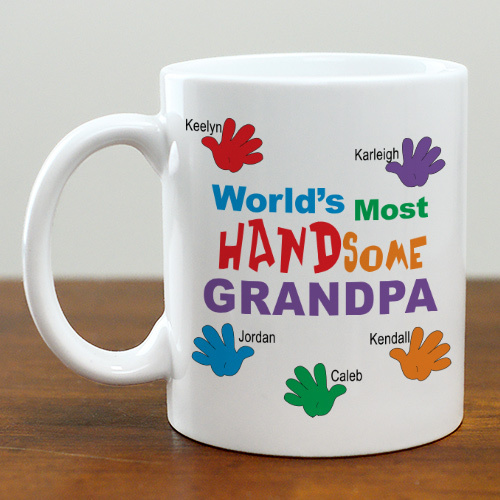 Show off all of the grandchildren on these Handsome Customizable Coffee Mugs. Each grandchild's name is printed next to an adorable handprint. Our Personalized Mugs are Dishwasher safe and holds 11 oz. Includes FREE Personalization! Personalize your Coffee Mug for Grandpa with any title and up to 30 names.